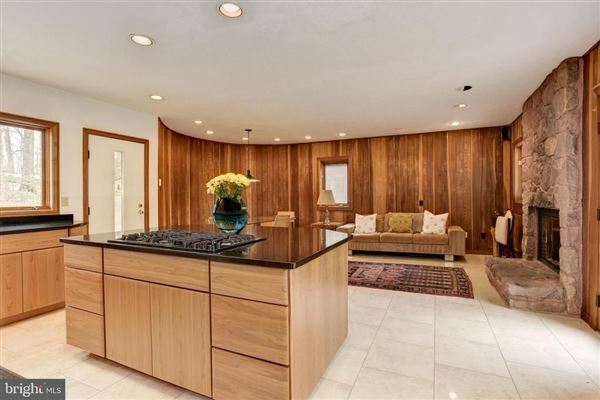 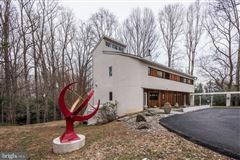 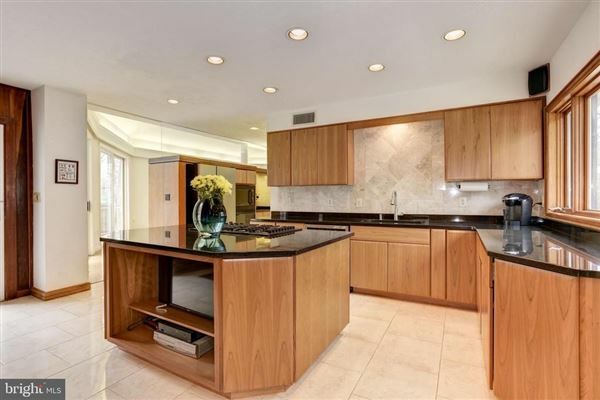 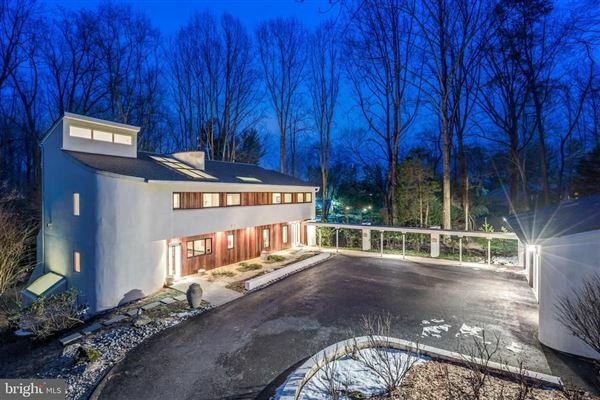 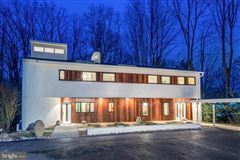 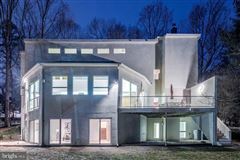 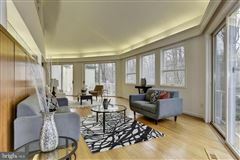 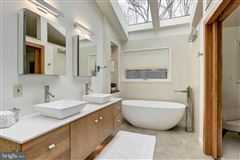 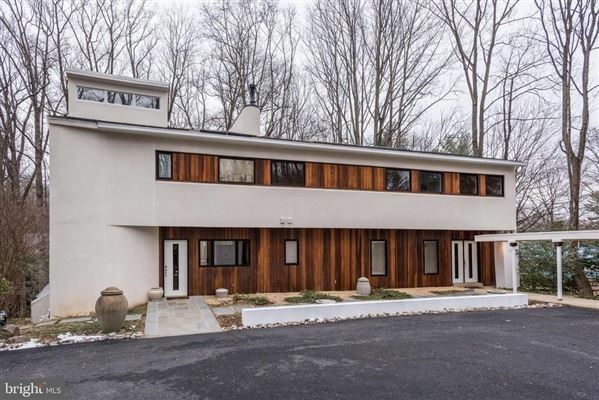 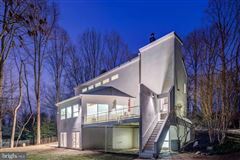 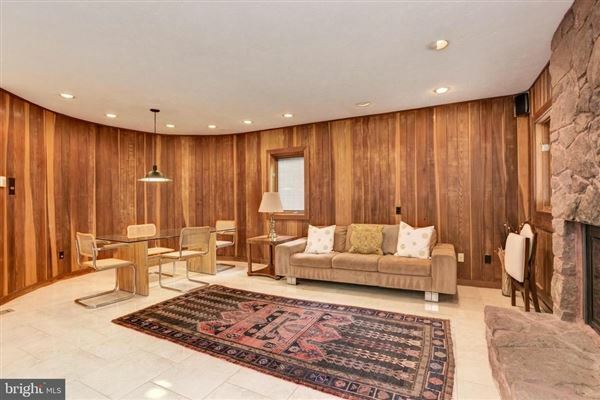 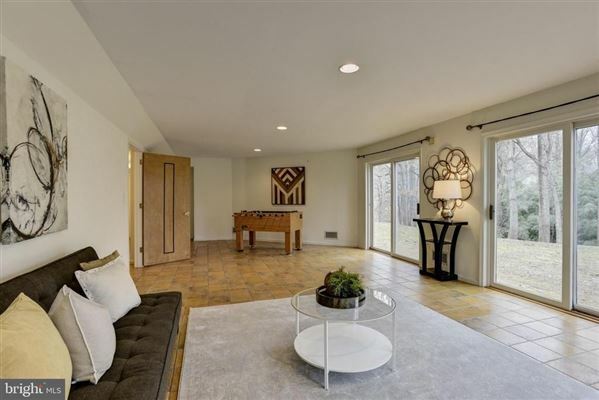 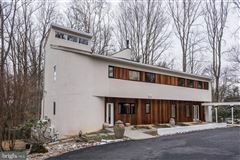 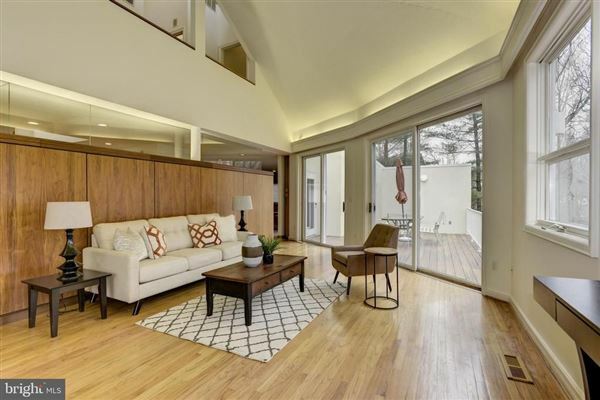 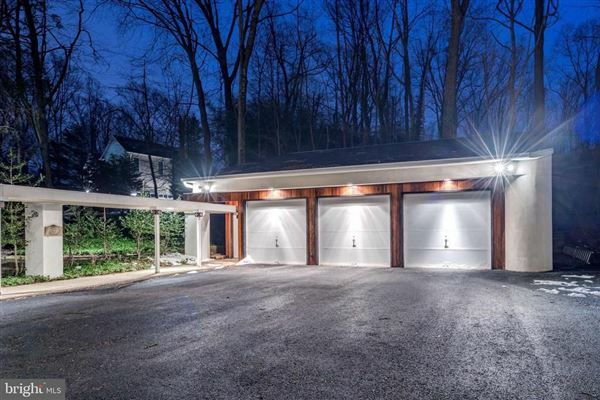 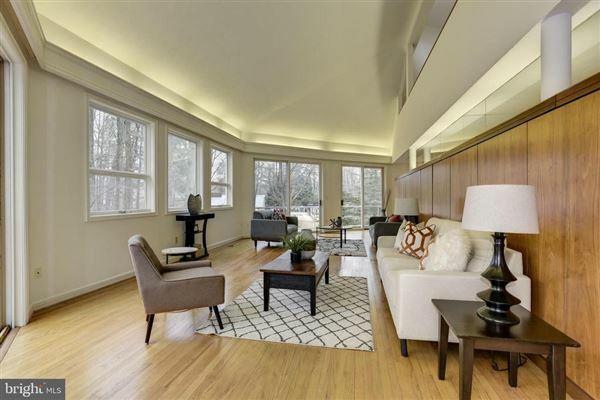 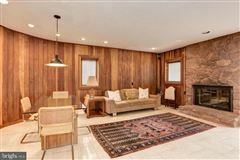 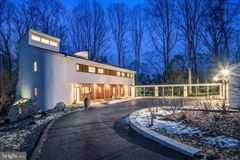 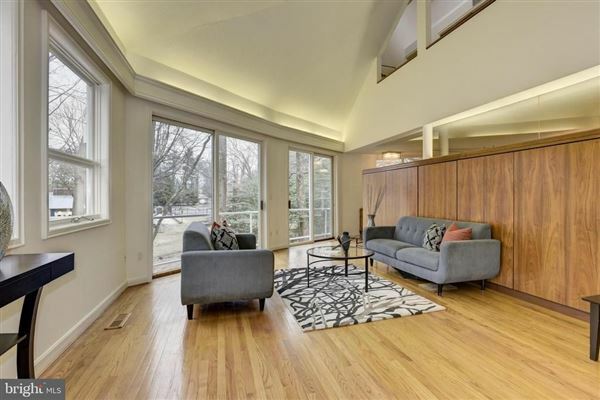 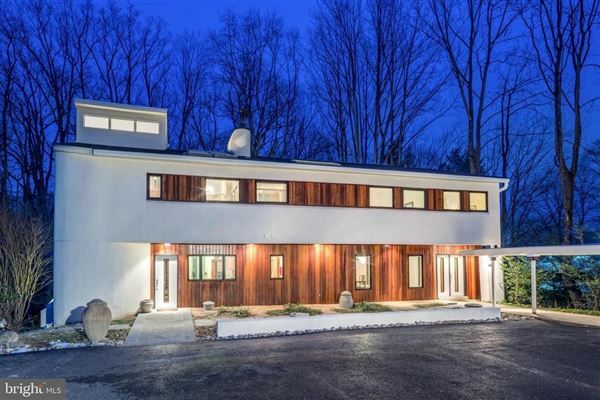 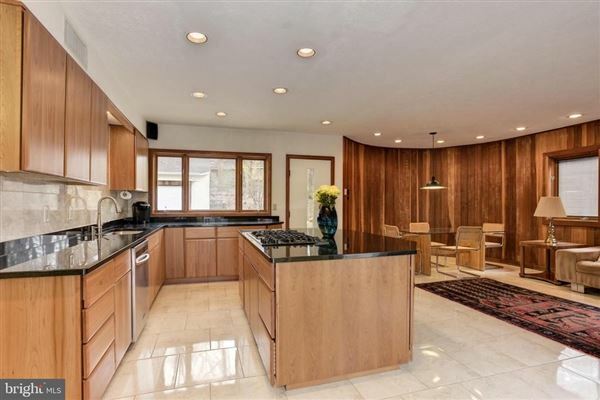 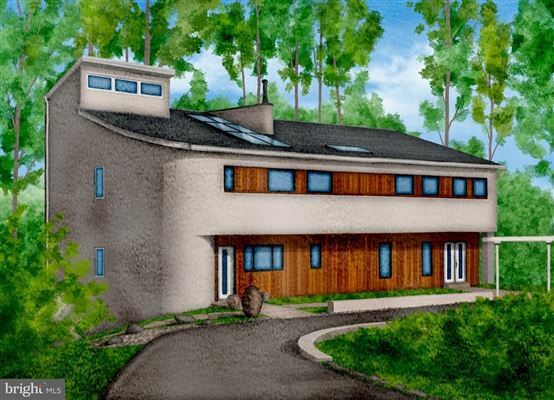 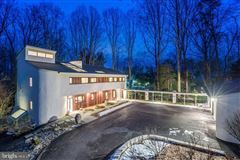 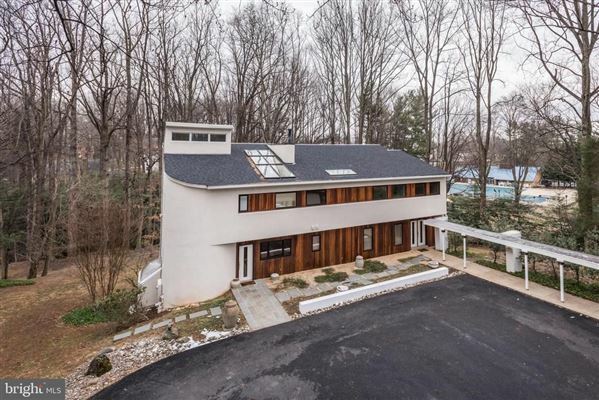 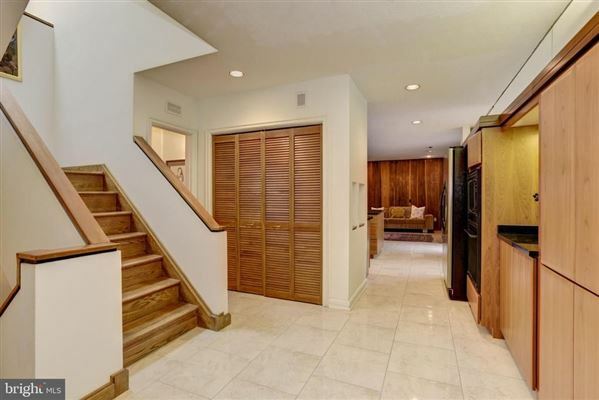 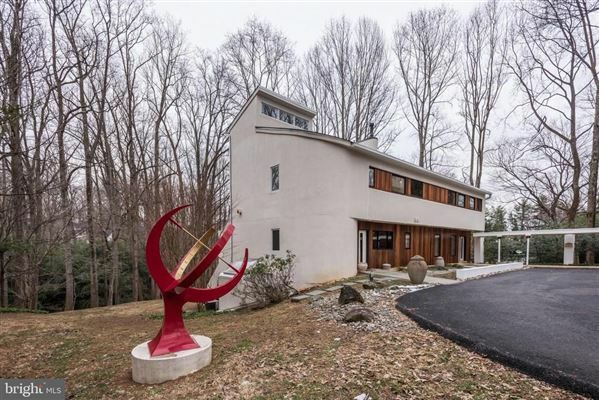 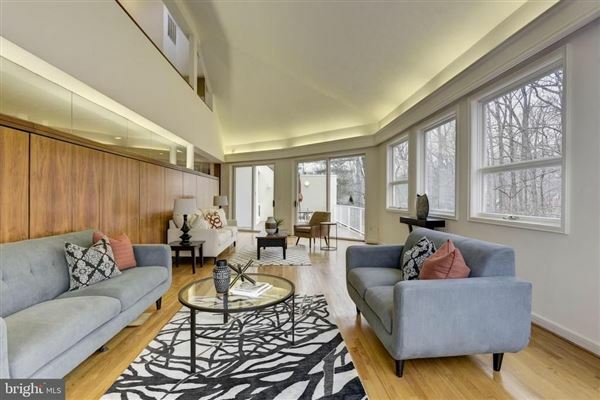 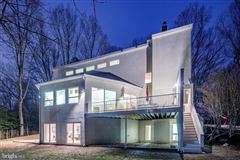 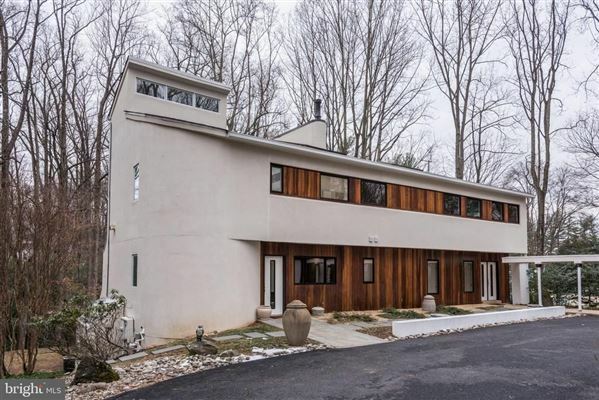 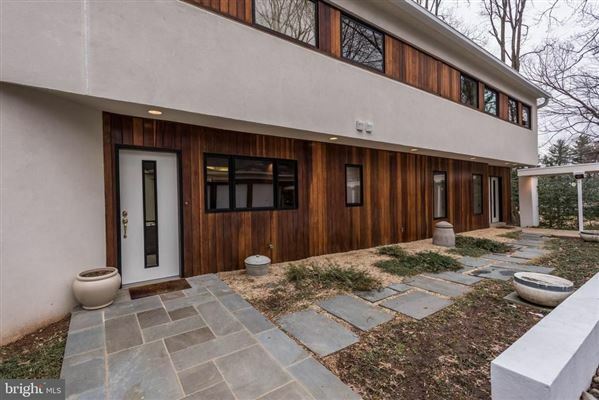 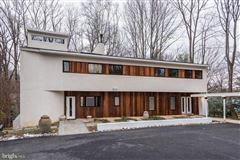 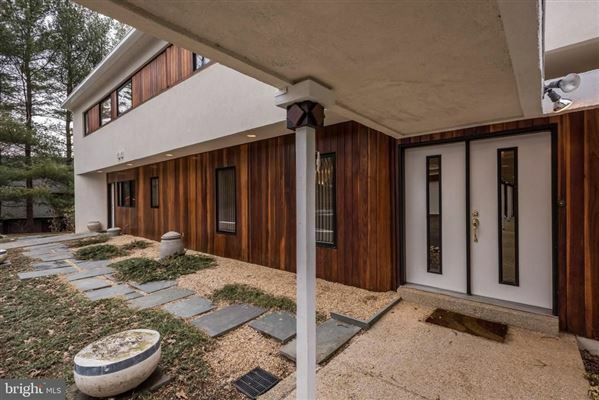 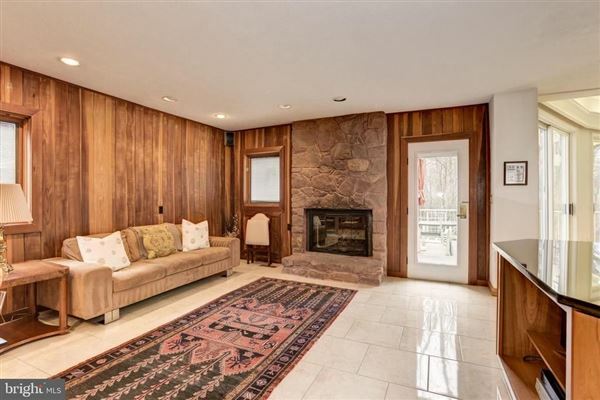 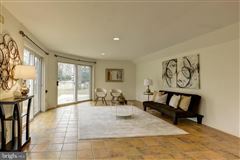 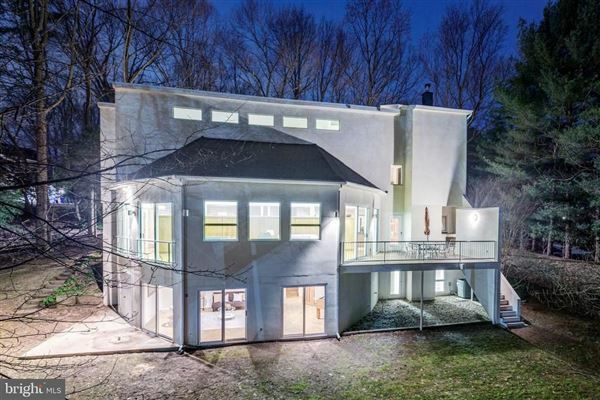 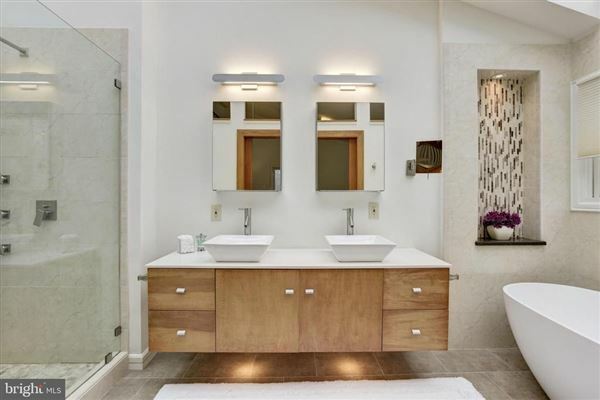 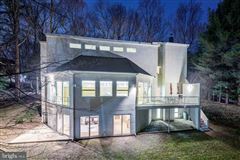 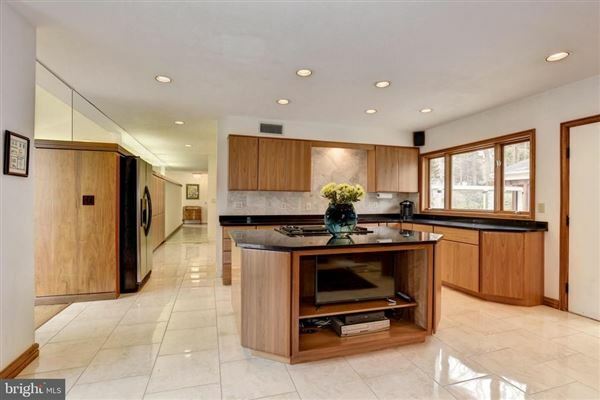 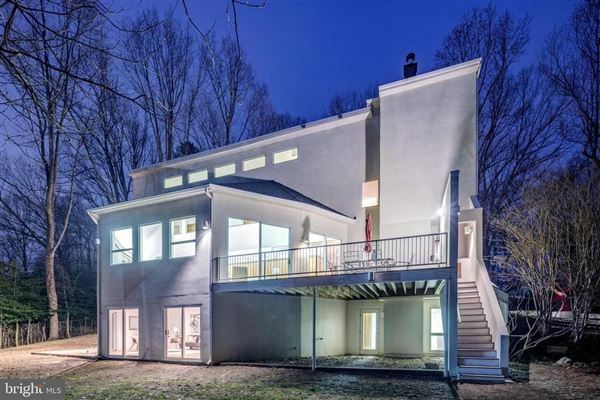 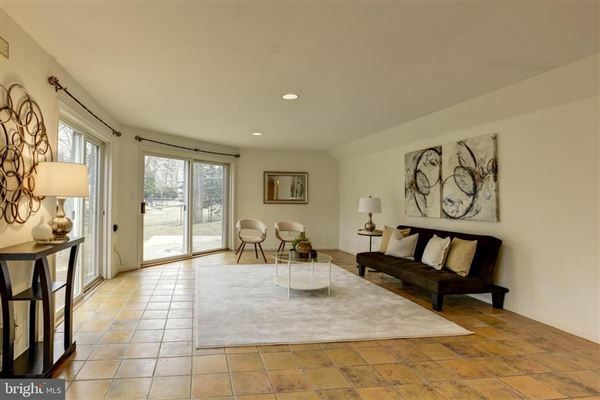 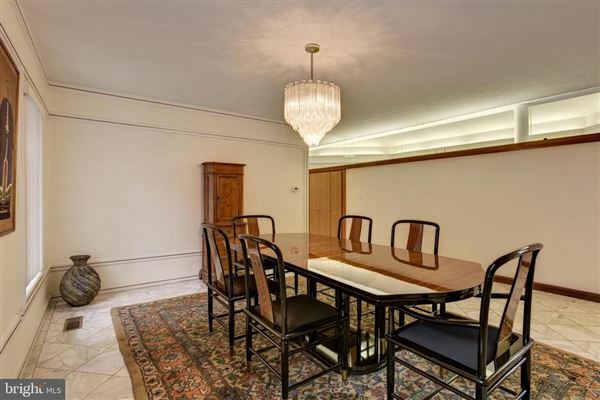 Stunning custom designed contemporary home situated on a private wooded lot backing to Country Glenn Swim Club. 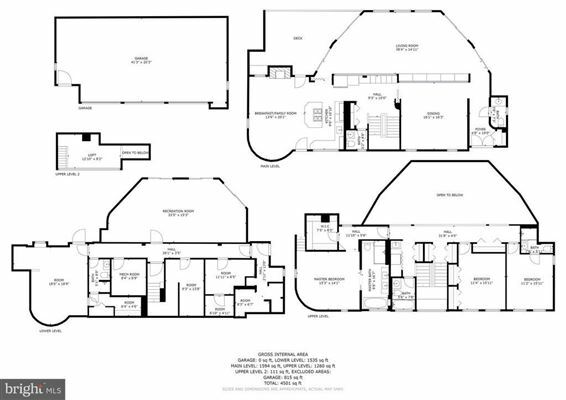 Features include a formal double-door entrance foyer with coat closet, guest powder room featuring Breccia Pernice marble flooring and vanity top, impressive 45-foot-wide living room with a curved wall of windows and 24-foot angled ceiling overlooking yard, custom walnut wood built-in wet bar, TV cabinet and storage in the living room and a formal dining room, featuring Calcutta Royale marble flooring. 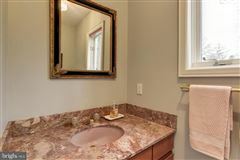 Also on the main level is a new open kitchen (2016) with large island, granite counters and sleek wood cabinets, a family room with Garrett County stone wood burning fireplace, an eat-in area, second powder room tucked away for family use and a Trex deck off the family room overlooking the yard. 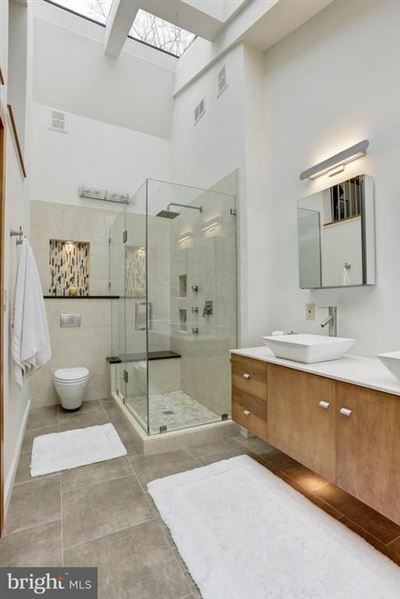 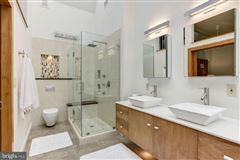 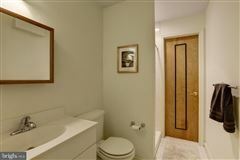 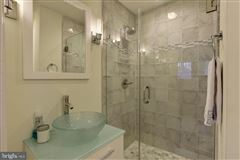 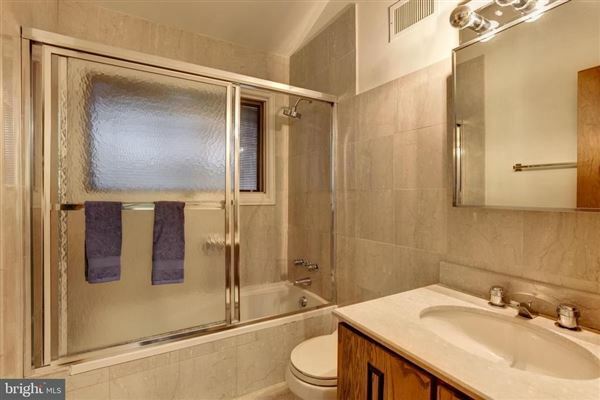 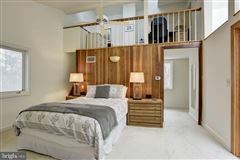 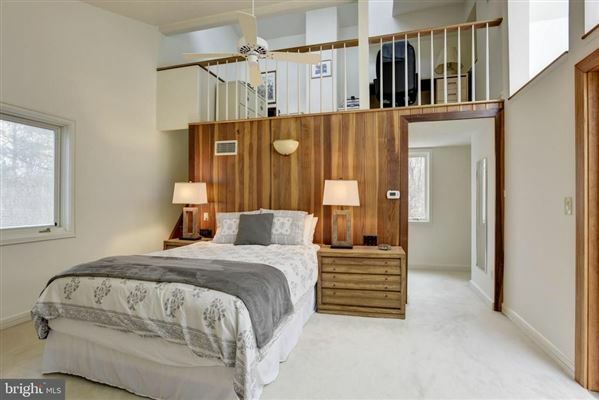 The master suite features a beautifully renovated spa bath, walk-in closet and loft office. 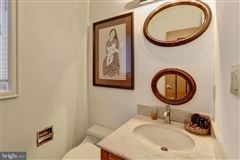 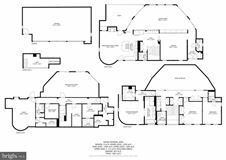 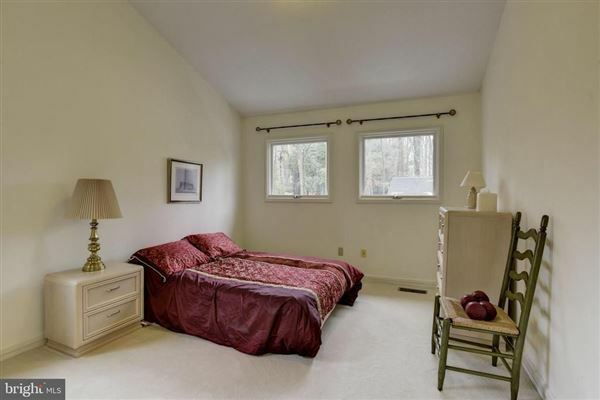 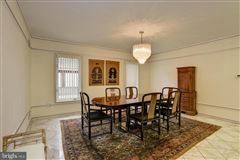 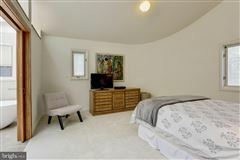 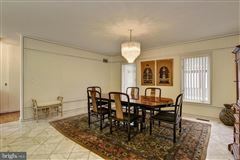 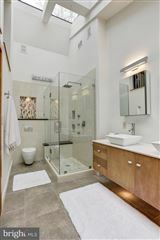 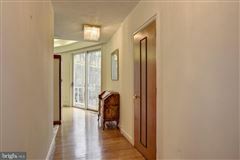 A second bedroom with en-suite bath, third bedroom, hall bath and laundry area complete the upper level. 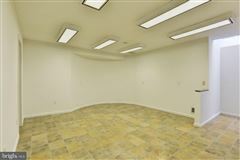 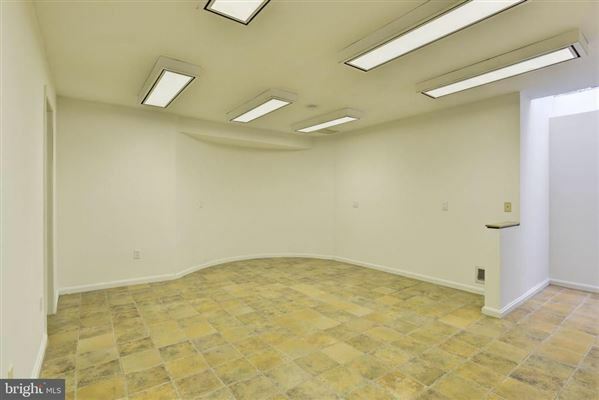 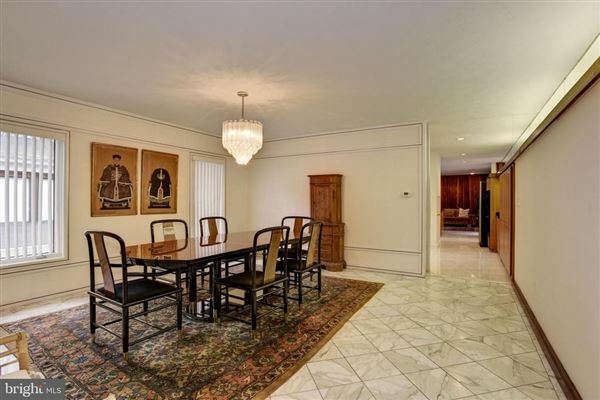 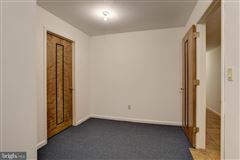 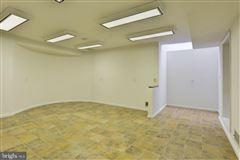 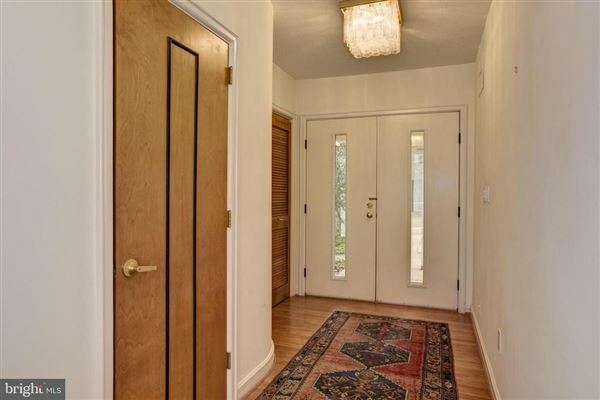 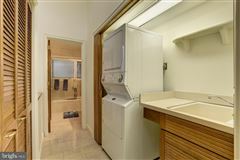 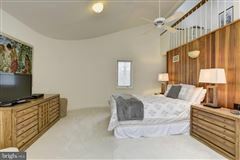 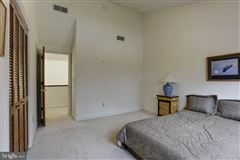 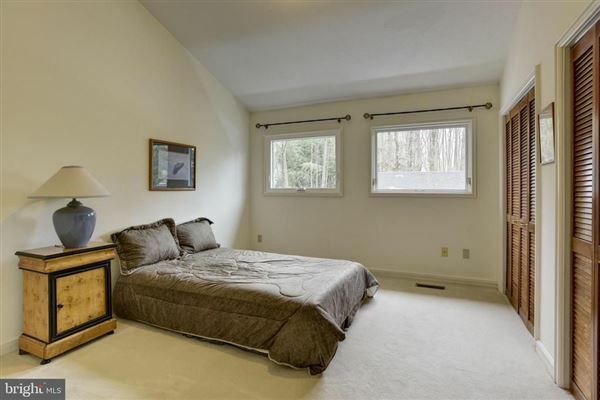 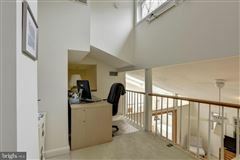 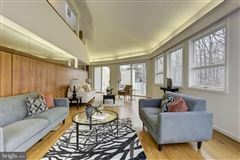 The walk-out lower level has a large recreation room featuring a curved wall of windows, fourth bedroom and full bathroom, and ample storage. 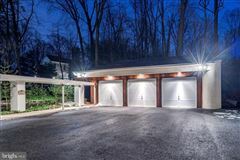 A detached three car garage with ample storage is connected to the main entrance via a covered walkway. 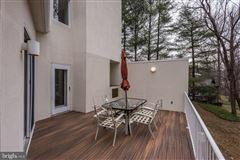 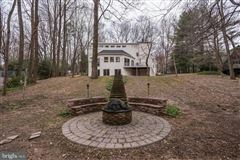 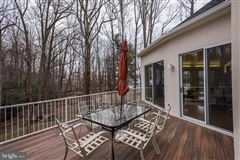 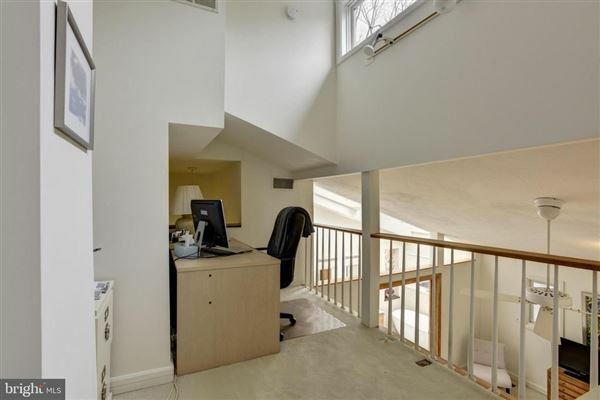 The private lot is nestled into the tree canopy and backs to a seasonal stream and more trees. 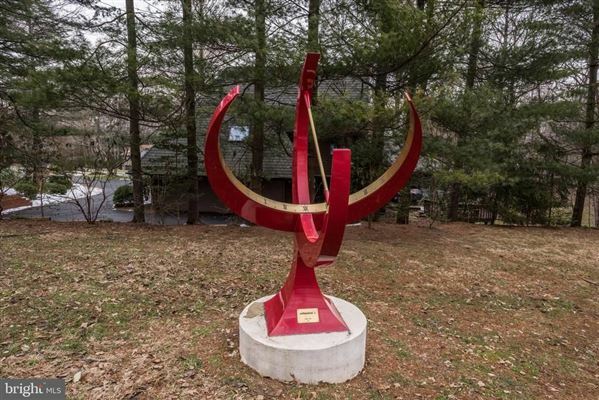 A custom sundial by noted artist David L. Aho graces the front yard. The Dryvit exterior features redwood accents. 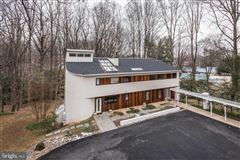 New roof (2017). 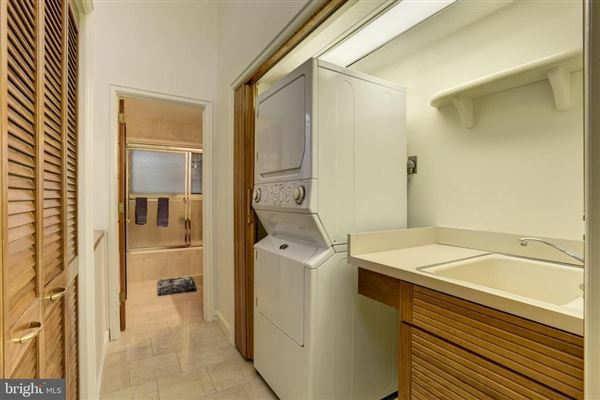 Two new hot water heaters (one gas + one electric). 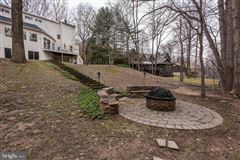 Exterior fire pit.